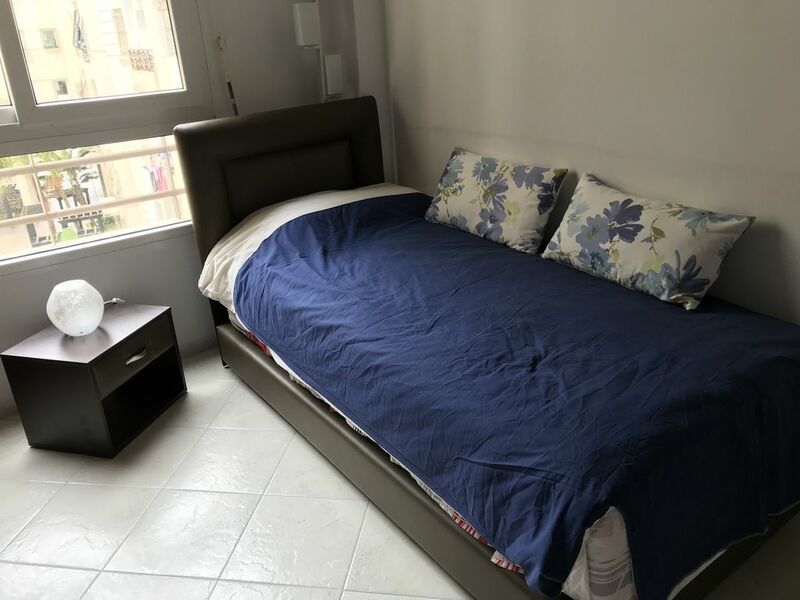 This apartment is close to Casa-Port train station, Hassan II Mosque and shops. It consists of 3 rooms: a very sunny living room, equipped with sofas and a dining table, two bedrooms with a double bed and a single bed and an equipped kitchen; Wifi is free and the TV is connected to satellites. Located on the 3rd floor with elevator, it has private parking. Apartment located near the Casa-Port train station, the Hassan II Mosque and shops. it consists of 3 rooms, a living room with TV connected to the satellites, 2 bedrooms with a double bed and a single bed, the kitchen is fully equipped, wifi and private parking. Nice clean apartment with a great shower! Good coffee shop close by.